The M102 engine came out to replace the old M115 engine in 1980. This four cylinders engine was built entirely from scratch. It had new cast iron cylinder block, aluminum 8-valve cylinder head with one camshaft. Late engines (until 1984) didn't have hydraulic tappets/lifters. The diameter of intake valves is 43 mm and exhaust valve - 39 mm. The 2.0l M102 from the beginning had the single-strand chain which was very unreliable, but from 1987 this chain was replaced by a double-row chain, and it operates very well. In 1984 engine got new light connecting rods and crankshaft as well as hydraulic tappets/lifters and the new oil filter. Together with the inline four-cylinder engine, Mercedes produced the unified as much as possible inline six-cylinder engine - the M103 3.0L. 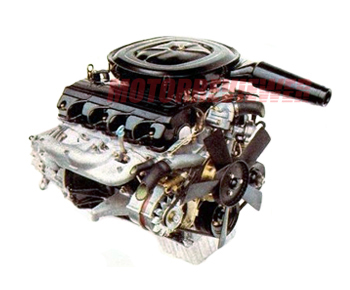 The production of the M102 engine stopped in 1994 and manufacturer started producing the new 2.0-liter M111 engine for their cars. 1. Very short camshaft life (about 60-100,000 miles). 2. Engine vibrations. That is the common issue for this engine. The problem quite often is bad engine mounts. 3. The knocking after fired up is a unique feature of M102 engines. M102.920 (1980 -1986) - the first carbureted version for Mercedes W123. Carburetor is Stromberg 175 CDT, compression ratio is 9. M102.921 (1982 -1984) - 920 with another camshaft and Stromberg 175 CD carburetor. This engine is for Mercedes 190 W201. M102.922 (1985 -1990) - upgraded version with new lighter crankshaft and conrods for Mercedes W124. Stromberg 175 CDT was replaced by Pierburg 2 E-E in 1986. M102.926 (1982 -1993) - M102.921 equipped with injection system Bosch KE-Jetronic. Power is 122 hp (118 with catalyst). Mercedes 190 W201.